Below, our Indiana injury attorneys explain what acts may constitute medical malpractice and describe the elements of a lawsuit. Additionally, we also discuss the damage caps that apply to medical malpractice claims in Indiana. These laws limit the amount of compensation that medical injury victims and/or their families may recover. However, every case is different, so if you have a specific question about medical negligence, do not hesitate to ask the lawyers. Otherwise, consult our local listings to find an attorney near you. 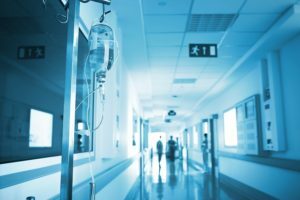 What Are Medical Malpractice Damage Caps in Indiana? Many states, including Indiana, limit the amount of compensation you can recover from a medical malpractice lawsuit. In most cases, damage caps apply only to certain types of damages. Economic damages include all compensation you receive for measurable expenses. This may be medical bills for past and future treatment, and lost wages. Usually, economic damages are not capped. For healthcare treatment errors/medical malpractice claims that occurred after June 30, 1999, but prior to July 1, 2017, there is a $1.25 million cap on total damages available to the plaintiff. An individual health care provider cannot be held liable for more than $250,000 in damages, and any damages determined as a reward that are large $250,000 will be paid by the state of Indiana’s Patient Compensation Fund.